Discussion in 'Other Skills' started by woodsmanjohn, Dec 18, 2016. I was out at the shop yesterday and decided to make a try stick . I used the Vic Fieldmaster for this one.. If you fellas have any post them up I would love to see them. Medicine maker, Bobsdock, beacon and 34 others like this. 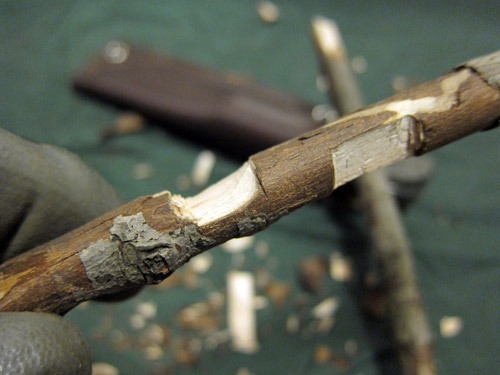 Try sticks are great practice, on green wood and dry. Fat Old Man, Primeval, MrFixIt and 4 others like this. I like seeing try stick posts. They put a knife through its paces and build up the users skill set. Same as testing a knife on deboning a whole chicken. 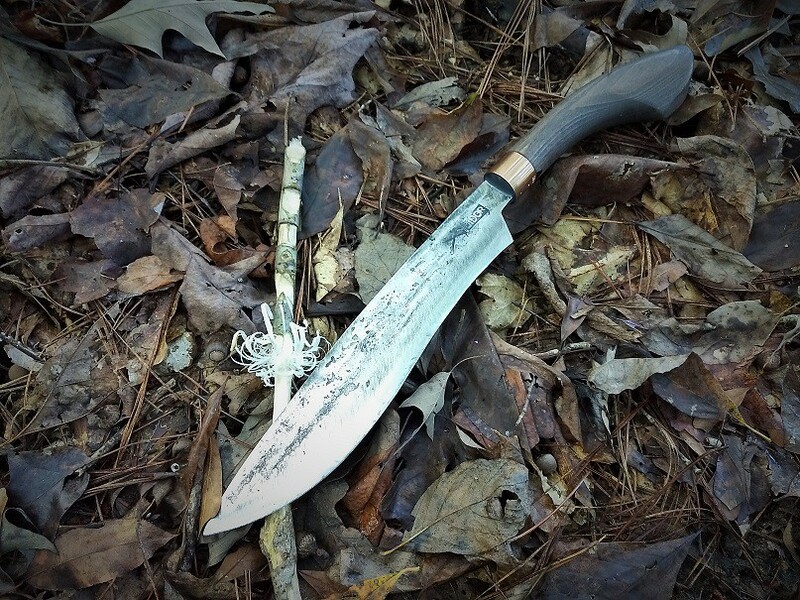 Knife gets put through its paces and skills are built upon. Fat Old Man, Primeval, MrFixIt and 5 others like this. Fat Old Man, Primeval, MrFixIt and 3 others like this. Nice, I'll knock one of these things out this week for sure. Primeval, MrFixIt, DomC and 2 others like this. They are a great way to test out a blade . Thanks Keyser I appreciate it buddy .
. One I did a while back. Bobsdock, Fat Old Man, Carabnr and 14 others like this. 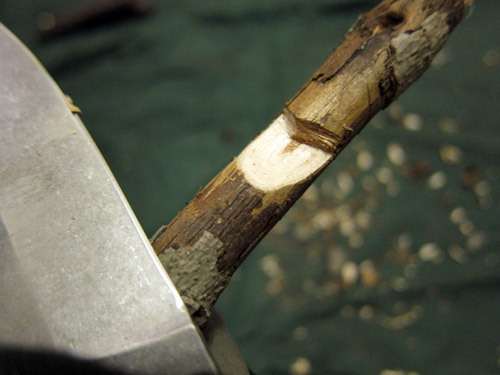 I got a SAK Treker (standard blade, not the one-hand model) for Christmas and after agreeing to clean up the chips from the living room did a little carving. 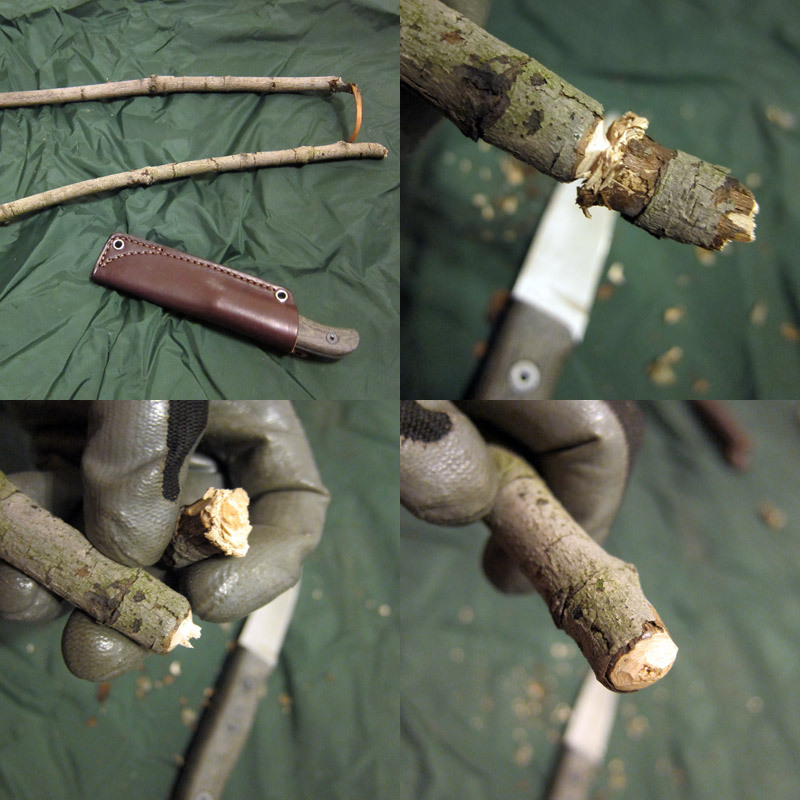 This was my first time to use the knife and first time to have a go at a try stick. It was a bit small and too short to do much, but I have been and still am a bit under the weather so just stepped outside long enough to grab something. I'll be making more, fun and more challenging than I expected. Carabnr, Bobsdock, Fat Old Man and 15 others like this. Fat Old Man, Primeval, MrFixIt and 2 others like this. 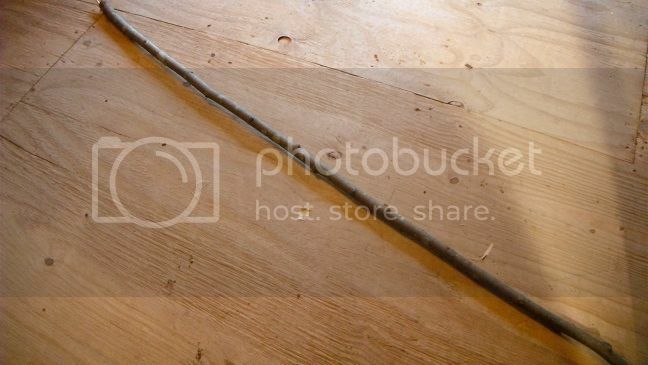 Still not back to 100% so made some more chips in the living room floor, and had a 2nd go at a try stick. 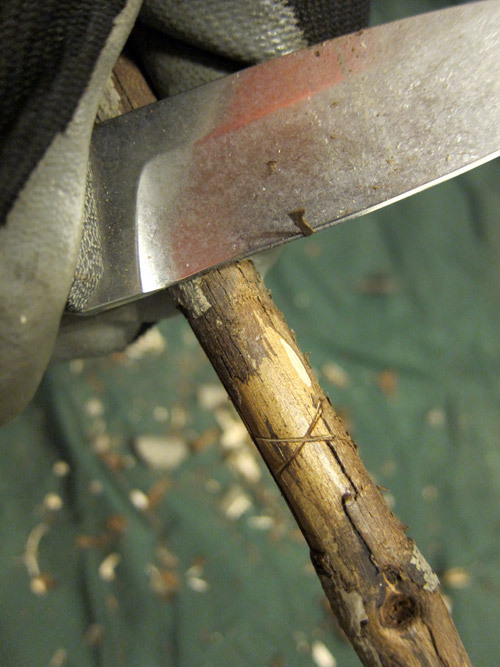 The Treker blade shape isn't ideal for some of the cuts so I also used the smaller blade on my SAK Tinker. Bobsdock, Fat Old Man, PrincessoftheWoods and 14 others like this. Bobsdock, roadwarrior, Fat Old Man and 16 others like this. Bobsdock, PrincessoftheWoods, Primeval and 11 others like this. 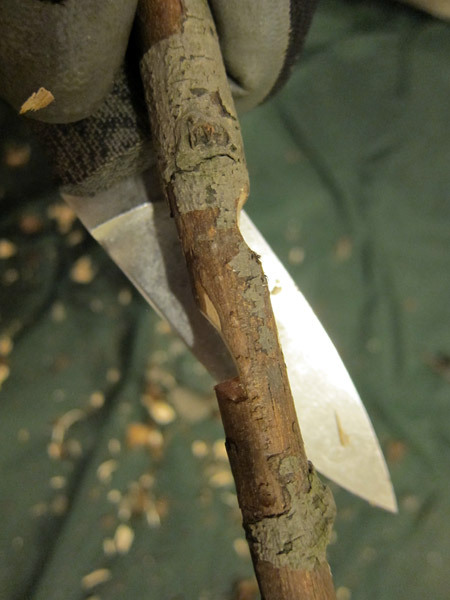 I might set a personal goal of doing a try stick with every knife I own, but I need to work on my technique for all of the notches first, the dove tail notch stumped me when I started a try stick with some dead maple. Bobsdock, Fat Old Man, Carabnr and 16 others like this. My first attempt at a try stick I didn't have time to do all the notches because it was some down time at work. I did learn I need to work on this so hopefully I can get it down. Rounded the top, reduction, u notch, and pot hook. Bobsdock, Fat Old Man, FIELDCRAFTLTC and 9 others like this. 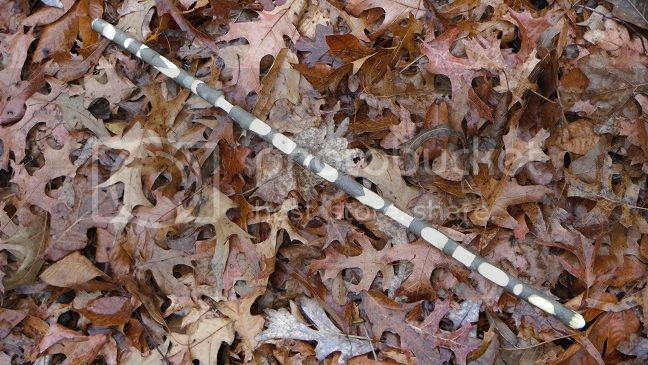 It's Saturday and here is a try stick. There just happened to be a tiny, wee, mini-mallet in the same stick, so here's a tiny mallet too. Some very nice work in this thread. I'm going to have to step up my game a bit! Bobsdock, Fat Old Man, FIELDCRAFTLTC and 13 others like this. Nice Work! Great post folks. Fat Old Man, Primeval, BCWoodsman and 3 others like this. I find it amazing that we all spend big money on expensive knives and for this purpose a little SAK works just fine. Fat Old Man, Primeval, BCWoodsman and 2 others like this. 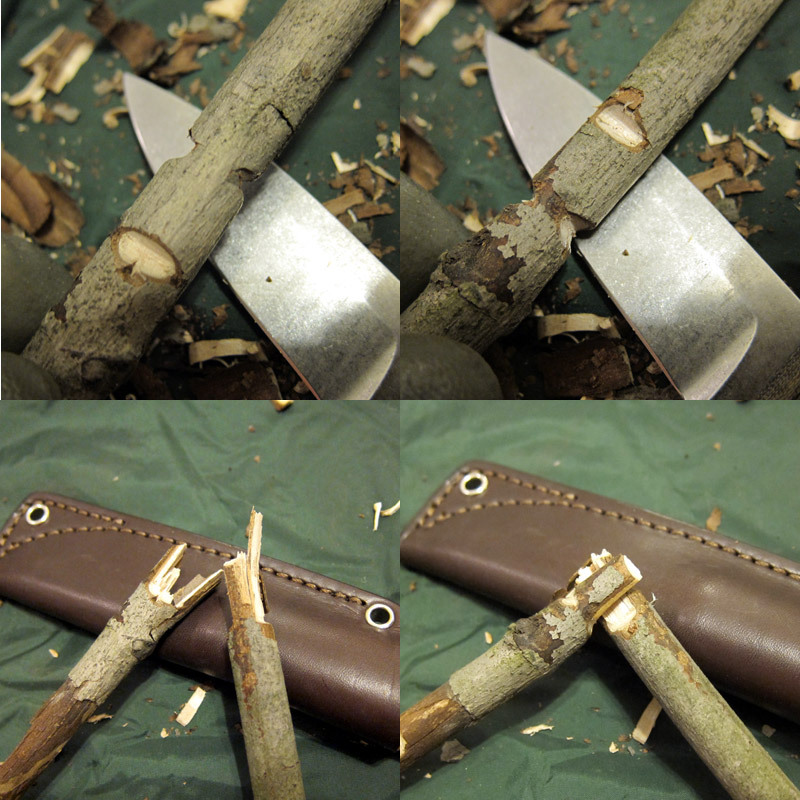 True a SAK works for this and that's what I used in my above post, but a fixed blade would have been easier IMHO. 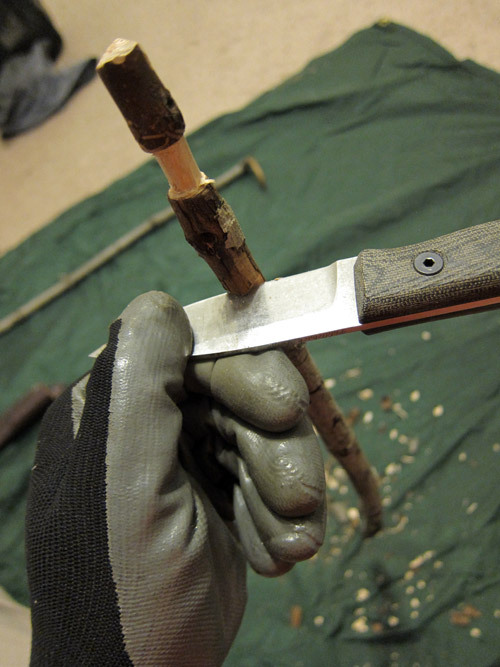 In that case a Mora would work great. For me at least with knives it isn't all about what they can do sure there are plenty of cheap knives (i have a few moras and SAKs), but I enjoy knives in theor own right. Therefore I enjoy the craftsmanship and fit and finish of more expensive knives. Not trying to argue your point so don't take it that way please. That's just my point of view on the often stated "don't need this expensive knife for this" or the "that knife is cheap so it's not any good" arguments. Fat Old Man, woodsmanjohn, Carabnr and 4 others like this. Gave it a try. Thanks to @NWPrimate challenge gaw for the push! 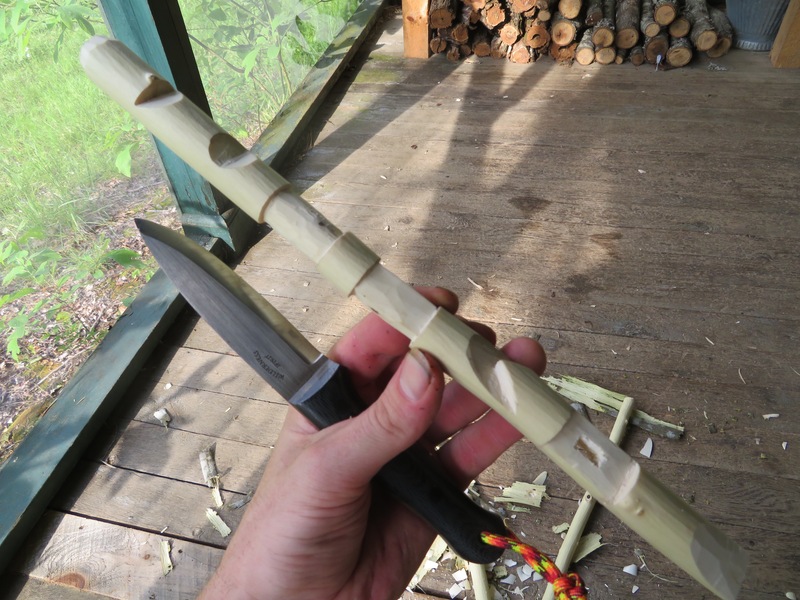 Its a first for me, but im not totally new to whittling. The rectangle hole and the hinge where fun to experiment with. Knocked 2 stones by carving a wood spirit i wanted to try too. Im very pleased with this one and will definitely make random wood spirits on stuff! All done with a cheap folder i edc. On a dry plum branch. Youcantreadinthedark, Bobsdock, Fat Old Man and 17 others like this. Fat Old Man, woodsmanjohn, Angelgutter and 3 others like this. Fat Old Man, woodsmanjohn, Primeval and 2 others like this. Bobsdock, Fat Old Man, Youcantreadinthedark and 6 others like this. 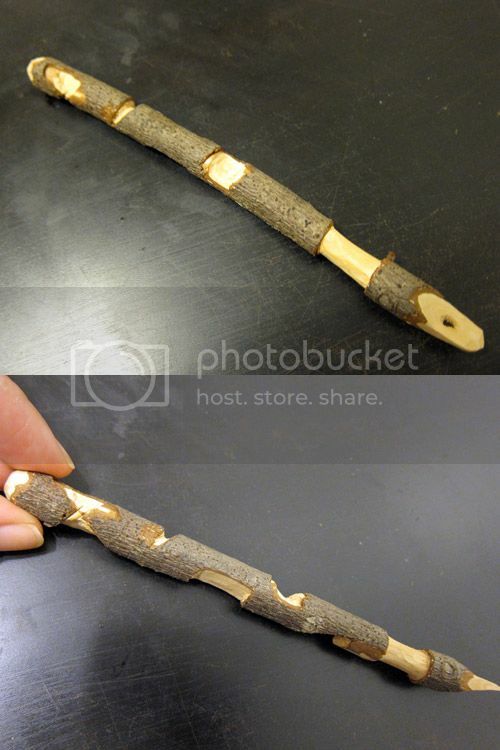 I am really itching to make a trystick. woodsmanjohn, MrFixIt, Primeval and 1 other person like this. I really really like that!! 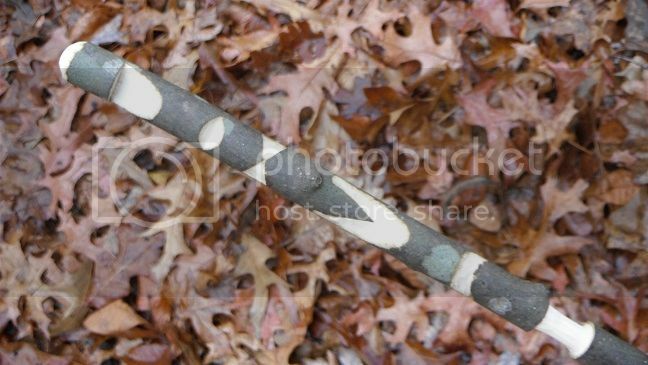 We have friction fire Tuesday, we should have try stick Saturday!! FIELDCRAFTLTC, MrFixIt and Primeval like this. 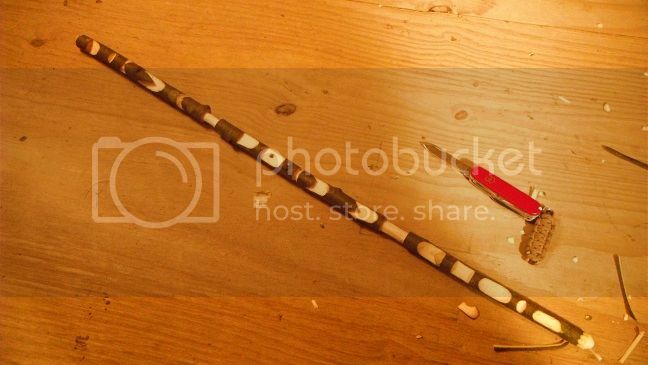 My first try stick. My fingers are sore but it was fun. It definitely sharpens your knife handling skills. Will have to work on these some more. Bobsdock, Fat Old Man, GreySwampFox and 13 others like this. Bobsdock, DCPugh, Fat Old Man and 14 others like this. 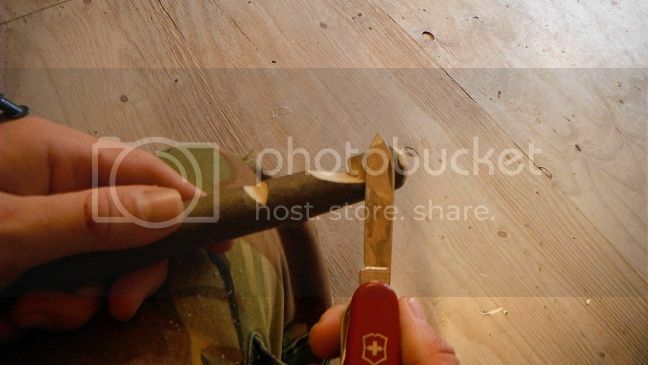 "not totally new to whittling" is an awfully big understatement buddy! Fine work! Fat Old Man, woodsmanjohn, Carabnr and 2 others like this. Just relaxing around the house today. I have not made one of these before, but wanted to put a new blade through some testing. I am familiar with most of the shapes, but not super sure about the bark scraper end. Need to find some good examples. I was pleased with the performance of the knife. A little one I recently forged from 0-1. Bobsdock, Fat Old Man, GreySwampFox and 12 others like this. woodsmanjohn, Dandaman, MrFixIt and 1 other person like this. Thanks very much @Guillaume Longval. I have been interested in these more compact knives with utility in mind. Sort of a 'less is more' thing. There is definitely a place for the large choppers, but I find myself actually using these finger sized blades more often. I typically carve with a smaller warncliff shaped blade (straight edge) but wanted to see what details I could get with the this smaller one with a more general purpose shape. woodsmanjohn, Carabnr, Dandaman and 2 others like this. First attempt at a try stick. 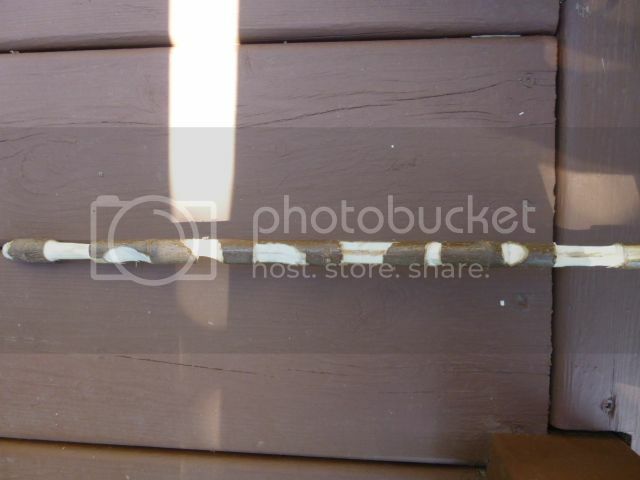 Couldn't baton the wood for the pot hook and called it quits shortly after when i slipped and punched my stomach. Bobsdock, Jim L., woodsmanjohn and 11 others like this. Bobsdock, woodsmanjohn, Carabnr and 8 others like this. First try stick! 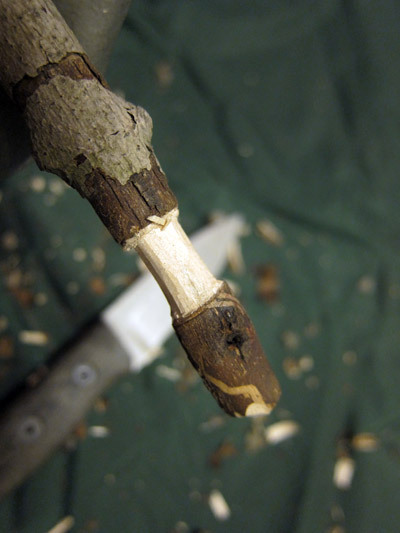 I am very new to whittling however so its not perfect but it still looks like a try stick...sort of. Bobsdock, woodsmanjohn, Carabnr and 6 others like this. 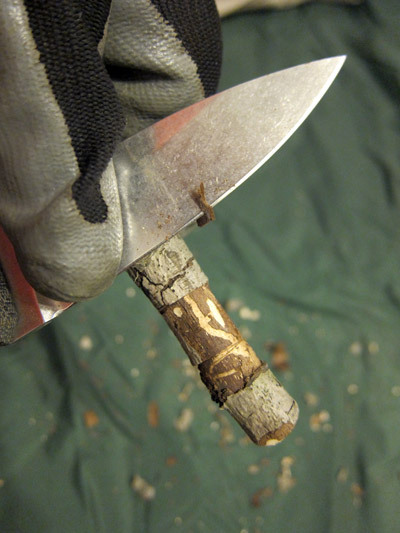 My first try stick tryout, back a few months ago. The Birds mouth hook is the best notch for me. I like how it works with a dutch oven if its back 6-8" so you can lever off the edge of the pot when lifting. 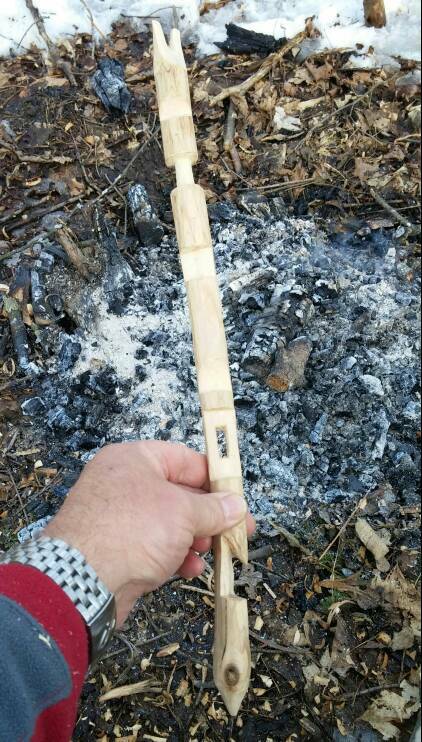 I kept the hole square and made the cattail reed square to fit. Any thoughts on uses for this notch besides just a hole to poke something in? 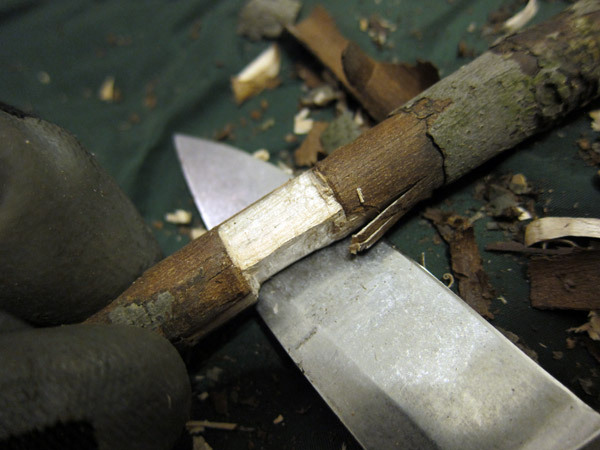 I also played with the forked notch, for trapping, and arrow making... 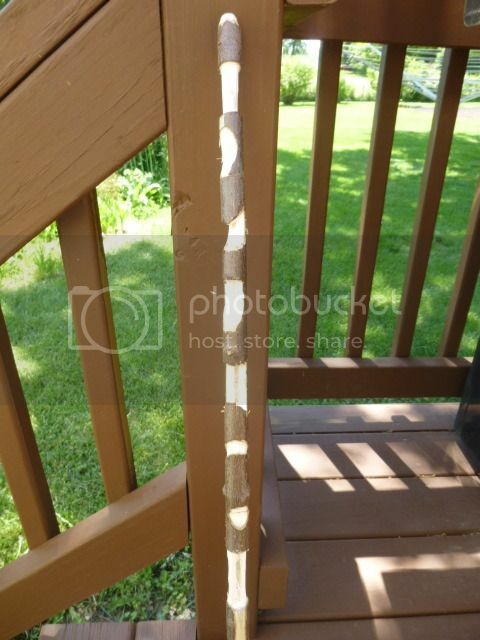 I put some rubber bands around and made it all interlock and release. Fun exercise. Has anyone made these notches really do a job besides the basic ones? Bobsdock, FIELDCRAFTLTC, Guillaume Longval and 4 others like this. woodsmanjohn and NWPrimate like this. Yup I survived hitting my stomach but I learned that I really need to remember to stop and think. Jim L., woodsmanjohn, rsnurkle and 2 others like this. Looks much like mine but after a few of them, it does seem to start looking better Great job! @MommaJ oh yikes.. hope you recovered! @Carabnr Seriously? 1 minute per notch? I'm in trouble!! I better hope that my life never depends on doing a quick try stick LOL!! rsnurkle, Carabnr and MommaJ like this. @MommaJ good lessons indeed... Using a stop is really helpful to avoid injury or damage to your knife. Also good carving technique helps too. Nice Looking Try sticks Folks Really enjoying seeing all these. Not Saturday, but I started this last Saturday and I am home sick today. I used my Benchmade Buschcrafter and SAK Recruit. Didn't realize how pale that aspen was showing. Medicine maker, Bobsdock, FIELDCRAFTLTC and 4 others like this. woodsmanjohn and Guillaume Longval like this. Let's get this thread rolling! Stuck at home (again), so I whipped out one of the hundred or so pencils we have and got to work! I find the dovetail notch to be the hardest, try to get the front and back equally level. My reductions need work, as do my square/flat surfaces - I have a hard time getting them even. But daggum it's fun! Carabnr, Bobsdock, woodsmanjohn and 5 others like this. Medicine maker, Bobsdock, GoKartz and 3 others like this. Nice job! bsemler that's a good one. Bobsdock, rsnurkle, NWPrimate and 1 other person like this. Bobsdock, rsnurkle and woodsmanjohn like this.